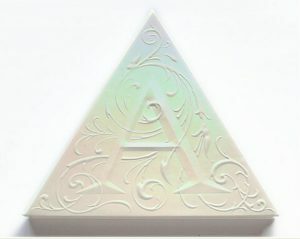 Alchemist Holographic Palette by Kat Von D is a multi-purpose palette. 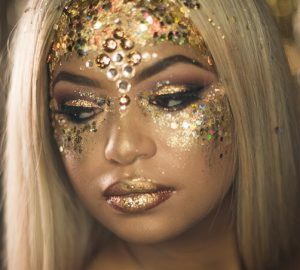 It can be used to add that glow to the entire look. 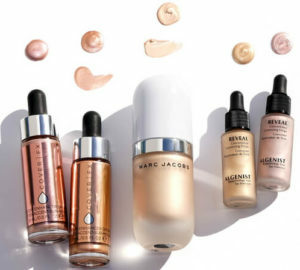 Feel free to use it as highlighter on the cheek bones or over the cupid bow, as light and glowing shadow on eye lids or you can use it as a finish stroke over the other products. 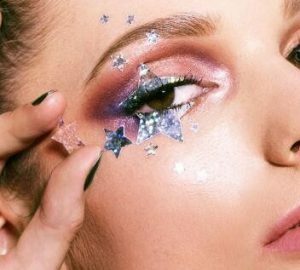 The latest looks from runways clearly show, that that glowing look is going to be trendy this year for sure. 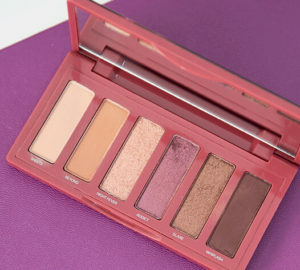 Having tested this palette we can definitely say, that this is a worthy investment. 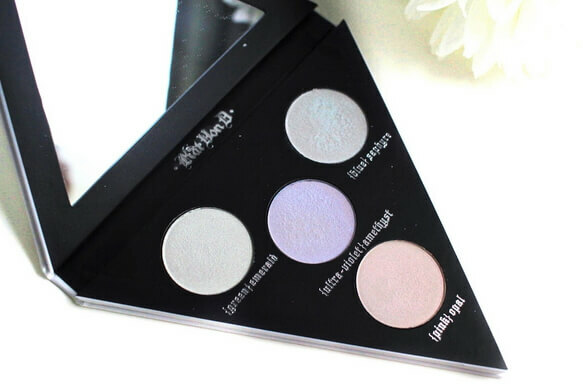 So if you are looking for a multi-purpose highlighter, you should definitely consider this palette by Kat Von D. Let us look into it closer. The palette is of triangular shape, the package itself is cardboard, yet it is very sturdy. It closes with the built-in magnet. It comes equipped with a triangular mirror, and there are 4 colors inside. 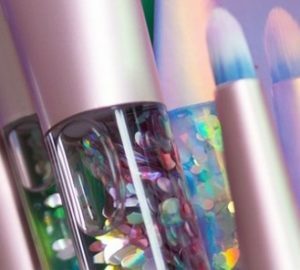 It is quite compact, so it won’t take a lot of space in your makeup bag. Three out of the four shades are duo-chrome, while one is iridescent. Good spacing between the shadows allow easily using this palette as highlighters. From the very beginning we’ve noticed certain dustiness of the formula, besides, it is quite dry. It works pretty well on the bare skin, yet for better adhesion it’s better to apply it on a drying creamy foundation. 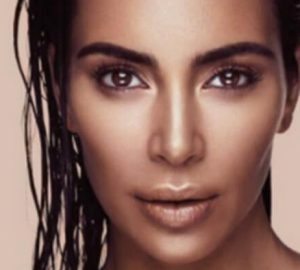 Yet, when creamy foundation dries completely, the adhesion becomes poor. 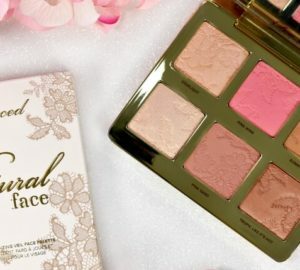 So if you want to use this palette as eye shadows, we recommend working with it real quick over the eye shadow primer. As we noted, the texture of the Alchemist Holographic Palette is somewhat dry and dusty, which makes it a perfect highlighter. 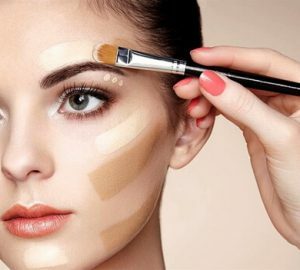 It is easily blendable on cheeks to provide even and thin coverage. 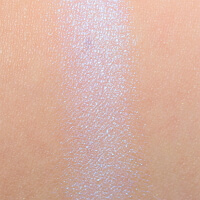 When used as highlighter, the textures show the most noticeable duo chrome shift. 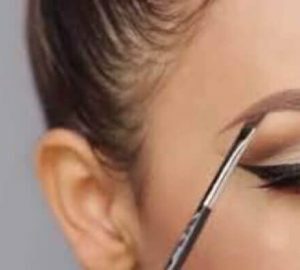 Yet when they were layered on the eye lid, especially on non-matte textures, that shift became way less noticeable. 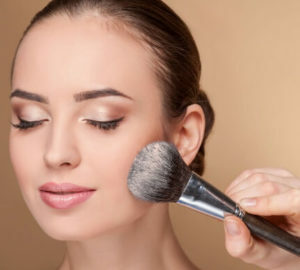 So keep that in mind if you want that shift be noticeable in your makeup. 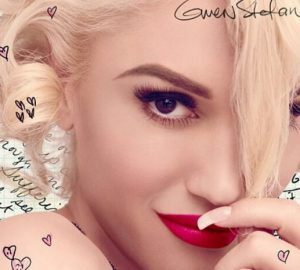 We experimented on applying this Kat Von D product as a topper for different lipsticks. We must admit, it gives noticeable effect on the matte finishes. 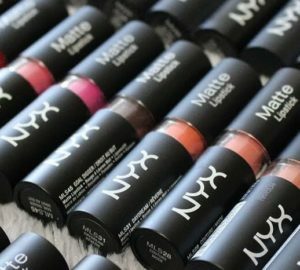 Satin lipsticks may also benefit from these colors and gain that duo-chrome glow. 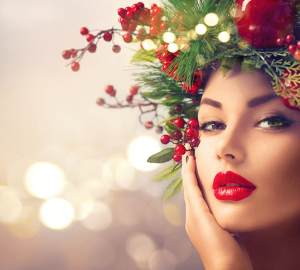 Yet glitter or somewhat glossy lipsticks completely absorb the product with time. 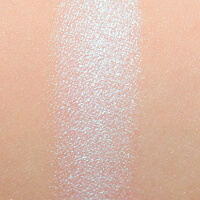 This is a pale duo-chrome pigment that shifts from greenish to pale and somewhat goldish pink. This is a pale white semi-transparent duo-chrome color that shifts to cool blue. This is a pale pink duo-chrome color that shifts from pale lavender to bluish. This is a muted beige color with somewhat pearly finish, and does not feature that distinctive duo-chrome shift. Emerald. 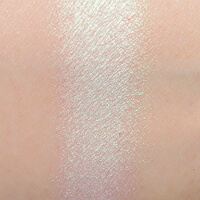 This is a pale duo-chrome pigment that shifts from greenish to pale and somewhat goldish pink. The color playoff is good. It features soft yet slightly dusty texture. Applied on the eye lid it lasted for 7 hours, while on cheeks it lasted for 8+ hours. Saphyre. This is a pale white semi-transparent duo-chrome color that shifts to cool blue. 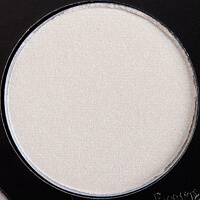 It features opaque pigmentation and somewhat dusty texture. 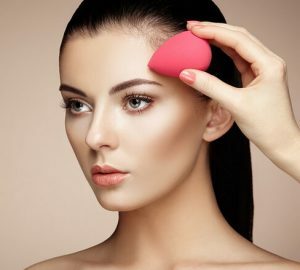 It easily blends on skin and lasts for 8 hours both on eyes and on cheeks. Amethyst. This is a pale pink duo-chrome color with cool lavender undertone. It shifts from pale lavender to bluish. The pigmentation is semi-opaque and applies well on bare skin. When layered over dried matte cream it appeared too dusty, though. 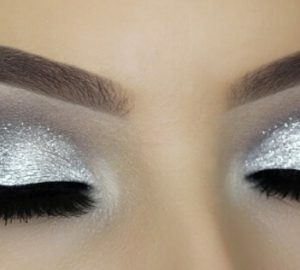 It behaved the same way over the completely dried cream eye shadows. It lasted for 8+ hours both on the eye lids and on cheeks. Opal. This is a muted beige color with somewhat pearly finish. 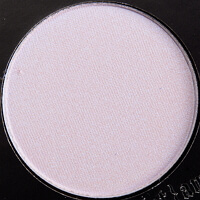 The consistency is soft and blendable on the bare skin when used as a cheek highlighter with no signs of dryness. 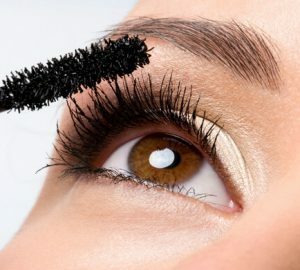 Yet, when applied on the bare eye lid without any primer it is dusty and somewhat difficult to work with. 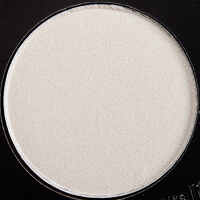 When applied over the other eye shadow and primer it did not show any signs of dryness. It wore 8+ hours on cheeks and 6 hours on eye lids.